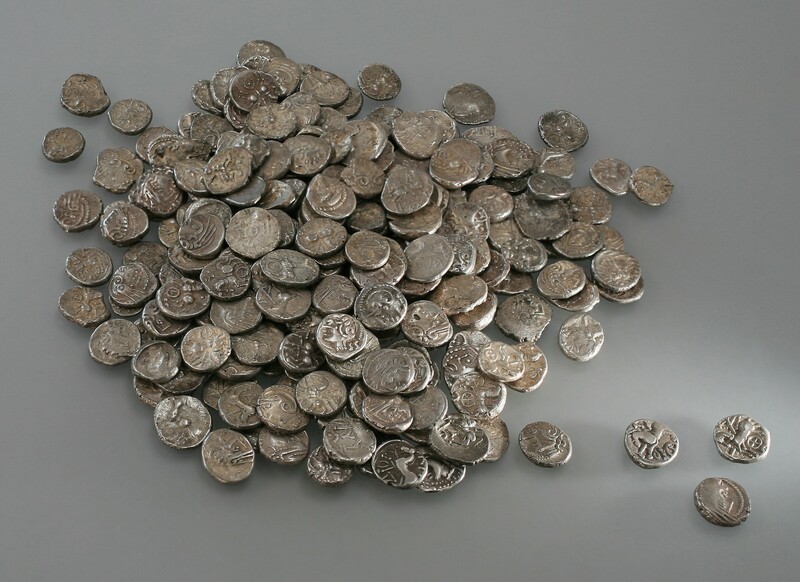 The largest hoard of Iron Age silver coins ever found in Switzerland has been discovered in farmland outside Füllinsdorf. 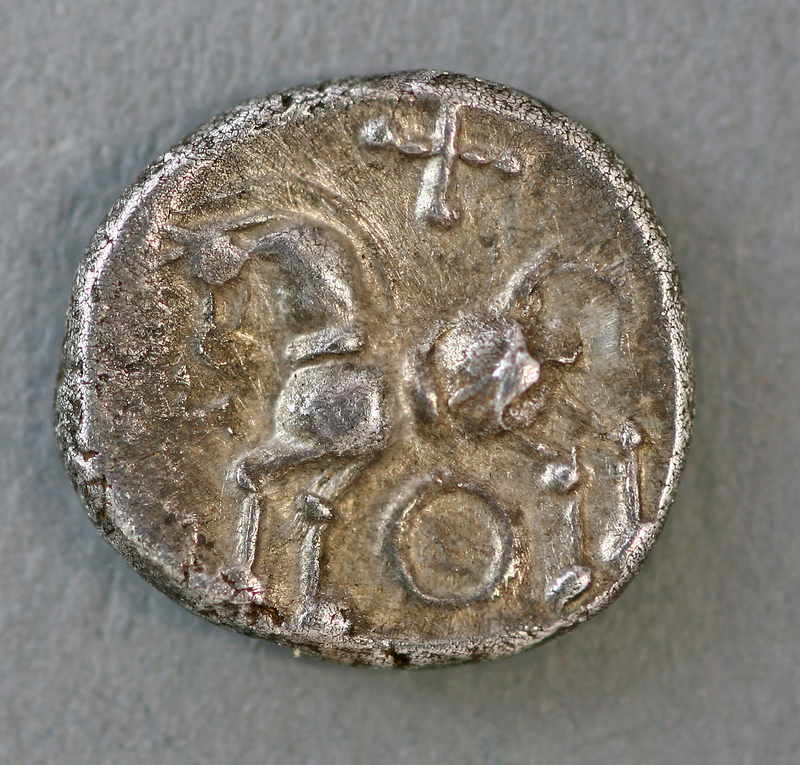 Scattered across an area of 50m2 and lying just centimetres below the soil, it is thought the 293 Celtic coins were originally buried as a group in the 1st century BC, but were separated by modern ploughing. 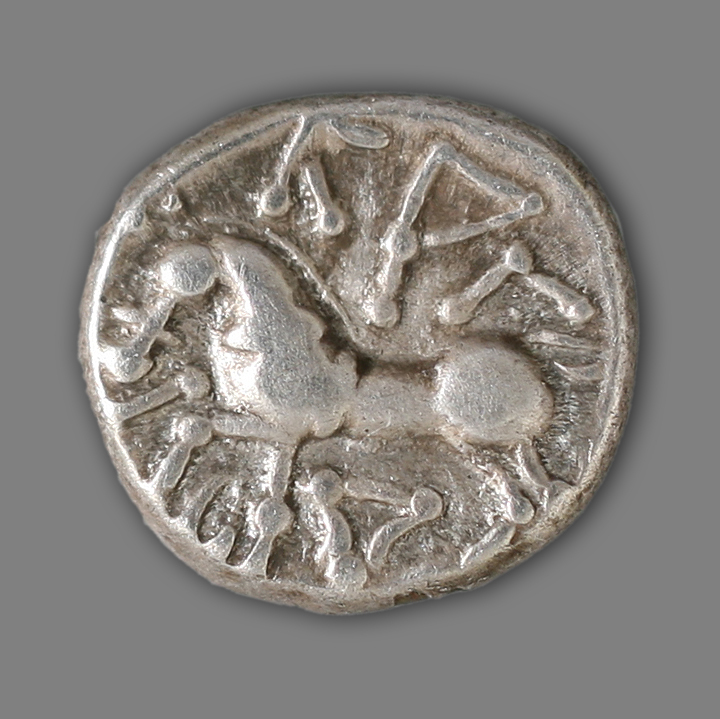 The coins are decorated with stylised faces and horses, and with a few variants they all represent the ‘Kaletedou-Quinaren’ type, so called because they are marked with the word KAΛETEΔOY (Kaletedou), thought to represent the name of a Gallic chieftain. 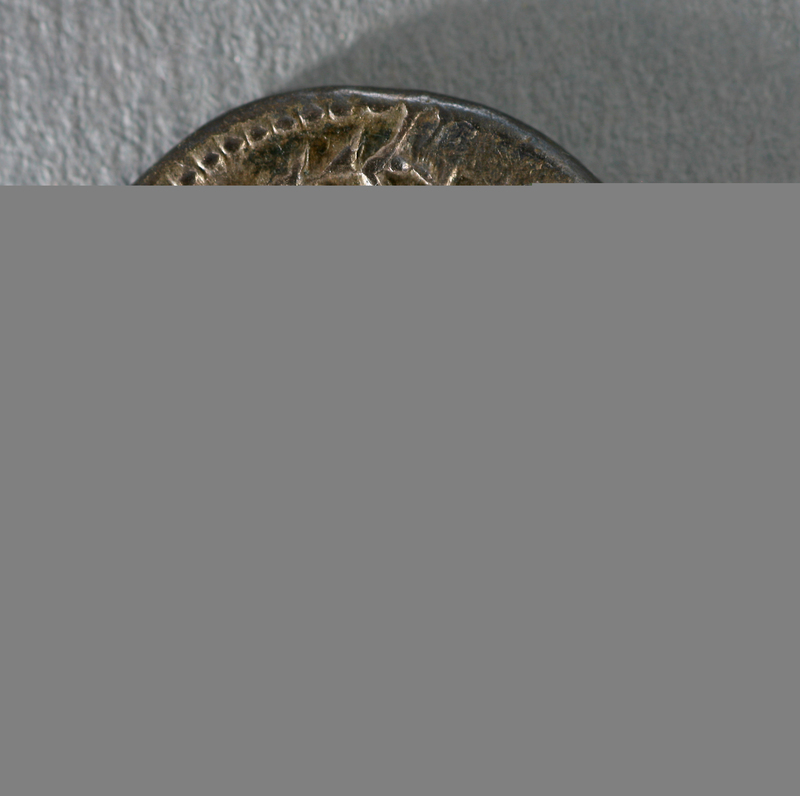 Measuring just 1cm across, this kind of coin originated in eastern France but is also found in Switzerland. 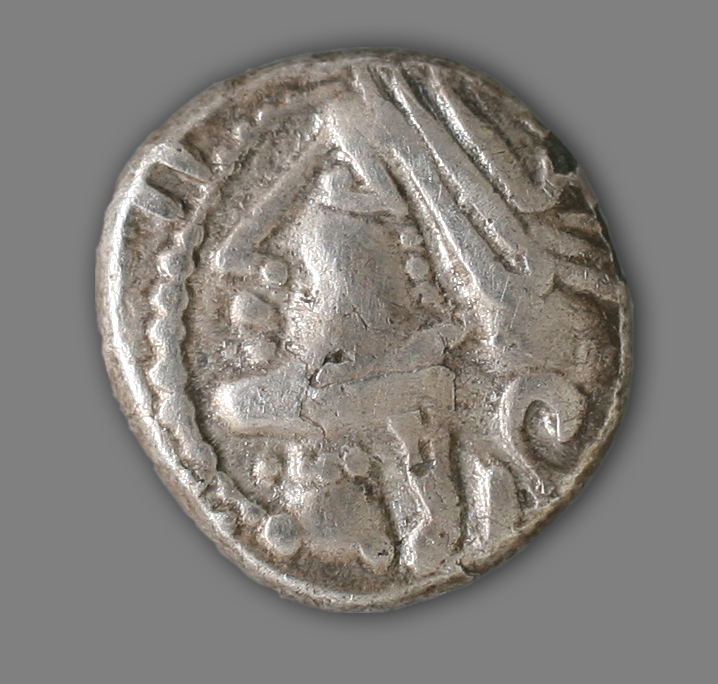 Dr Marti added that so far no sign of a settlement had been found in the area where the coins were found, and that the hoard could have been used to pay mercenaries. In the late La Tène period (150-80 BC) the area around Füllinsdorf was inhabited by the Rauraci tribe, who between 58-15 BC were gradually subdued by the Romans along with the other Celtic peoples of Central and Western Europe. More probably a votive hoard!